The Dime Store takes breakfast hash to the next level with the Duck Bop - house-confit duck leg, spinach, onion, bulgogi, pickled veggies and sriracha. Too adventurous for you? Not to worry. There are plenty of omelettes, sweet stuff and breakfast sandwiches including the cold-smoked salmon sandwich! If you haven’t dined yet, you’ll soon be “benedicted.” The Hudson Cafe’s spin on eggs benedict is like no other. For all you avocado fanatics out there, The Baja Benedict does not disappoint with an english muffin topped with guacamole, tomato and two poached eggs. Looking for something on the lighter side? Try the Healthy Scramble - egg whites, baby spinach, tomatoes and multi-grain toast. Most Detroiters associate Honest John’s with a late night stop after the bar, but it surprisingly has a strong breakfast game. Of course the traditional menu options, like pancakes, french toast and waffles, are great and all, but we recommend exploring other items. You won’t regret the Reuben omelette - corned beef, 1000 Island dressing, sauerkraut and Swiss cheese. 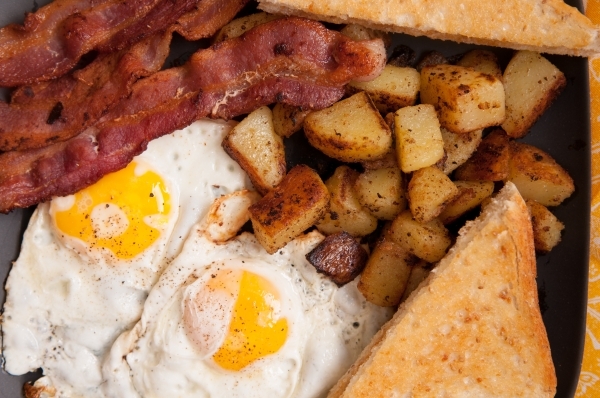 Let us know your go-to breakfast spot around town!